Thank you for stopping by today. Who the Bishop Knows by Vannetta Chapman will be available on March 6. It is the third book in The Amish Bishop Mysteries. The first two books in the series are When the Bishop Needs an Alibi and What the Bishop Saw. 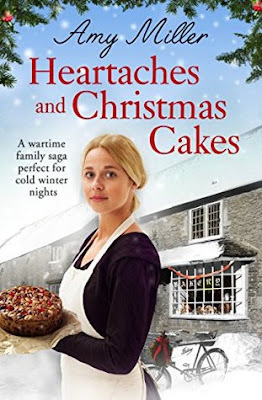 Heartaches and Christmas Cakes by Amy Miller takes us back to the fall of 1939 in Bournemouth, England. Audrey and Charlie Barton own Barton’s Bakery providing delectable delights for the people in their area. The bakery is a place where everyone knows they will be welcomed and have a chance to exchange a little gossip. War has caused many changes in their lives including rationing of food and clothing. Audrey’s brother, William heading off to fight with the British Expeditionary Forces. William is engaged to Elsie and she wonders if he will return home to her. Audrey’s stepsister, Lily shows up unexpectedly. Lily had been working as a typist at the Ministry of Information headquarters in London. Lily’s father, Victor is a controlling man who hit Lily. Audrey knows there is more to the story, but Lily is not yet ready to confide in Audrey. The Barton’s have taken in wounded French solider, Jacques who becomes fascinated with Lily. Audrey and Charlie have been unable to have a child of their own. Evacuees arrive needing homes, and Audrey takes in little Mary Lintin. Mary has been traumatized and does not speak. Audrey knows that the little girl needs their love and a safe haven. The family is worried when the fail to hear from William after he was posted over overseas. Life is a constant struggle, but they have their family, friends and hope. Will William return home to his family and fiancé? Can the Barton family help Mary to heal? What is Lily’s secret? Will romance bloom between Jacques and Lily? Heartaches and Christmas Cakes is a lovely story. It starts in 1939 and continues through 1940. I found the book to be well-written with good characters. Audrey is a strong, thoughtful woman who cares about her friends and family. She will do what she can to help. Audrey is the glue that holds her family together. We get to experience the ups and downs of the Barton family and those connected with them. They have so little, but are willing to share it to help others. The story has family, secrets, loss, love, friendship, pride, delectable baked goods, and hope. They have hope that the future will be better. We get to see how the war changes people and their character. Women stepped up and assumed roles that had previously been held by men. Thanks to rationing, they had to get creative and inventive. The people from this era were strong and resilient. It was fascinating to learn about how rationing worked in Great Britain. It was very different from what Americans experienced. 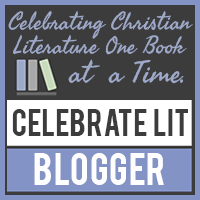 Readers get to read about their daily struggles. I admit that I had a little trouble getting into the story. Once I got into it, I was hooked. The author did a wonderful job at incorporating the events of the war into the story and I appreciate that she did not just make this a feel-good book. The characters experience loss and have their share of troubles as well as happy moments. Heartaches and Christmas Cakes is a heartwarming story. I am ready to continue their story in Wartime Brides and Wedding Cakes (out on March 7). I appreciate you reading my latest review. I am taking the weekend off, and I will return on Monday, January 22 with my review of King of Bones and Ashes by J.D. Horn. May you have a wonderful, relaxing weekend. 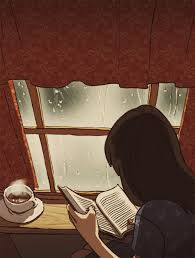 Take care and Happy Reading!